One of our top-selling styles in a wild specialty fabric! 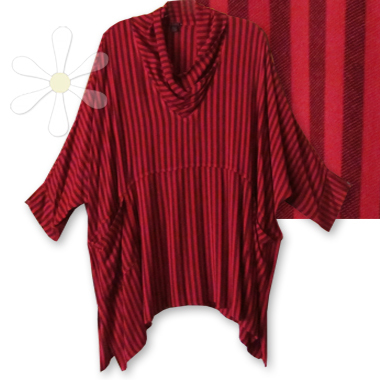 It's our woven djellaba stripes overdyed in one of our most popular colors, Ruby! There's just this one, and it's IN STOCK NOW! For measurements and details see our regular RAHBA page.